#BigQuestion: In This Elections, Will AIMIM Get ‘Survival Success’ Without The Congress And With TRS Support? 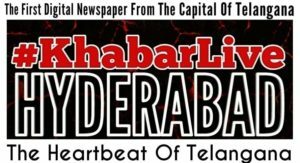 The Congress party is gearing up to make inroads into Hyderabad’s Old City, more than three decades after it lost power, in the upcoming Assembly elections in Telangana. The party has already invited its President, Rahul Gandhi, to participate in an event at the city’s historic Charminar, picking the day carefully. Dubbed the ‘Sadbhava Yatra Commemoration Day’, the event on October 20 will mark 28 years since former Prime Minister Rajiv Gandhi launched a yatra from Charminar to quell communal tensions in Old City. 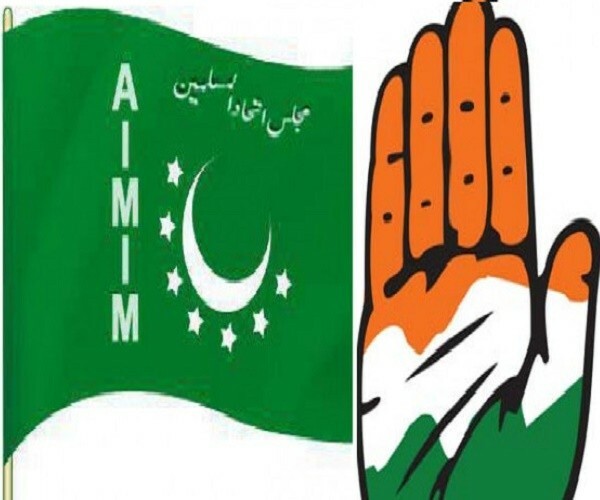 The Congress claims that the reason for the AIMIM’s smooth sailing all these years was the understanding that the two parties had while going to the polls. The AIMIM has already announced candidates for the seven main constituencies in Old City – Malakpet, Karwan, Charminar, Chandrayangutta, Yakutpura, Nampally and Bahadurpura. The ruling Telangana Rashtra Samithi (TRS) in the state has already said that the AIMIM is a ‘friendly’ party but that they would still contest the seats in the area. Accordingly, it has put up seemingly weak candidates who stand no chance in the polls. The main rivals to the AIMIM, besides the Congress, depending on particular seats, are the Majlis Bachao Tehreek (MBT), the Telugu Desam Party (TDP) and the BJP. The Congress has already conducted several surveys in the area and claims that the findings were “quite encouraging”. The party claimed that unlike the huge mass support that the AIMIM claims to enjoy, it only got 30% of the votes as voter turnout in the seven seats was low, at an average of 52%. The party is betting its chances on a two-pronged strategy of fielding strong candidates while also rallying citizens to increase the polling percentage. It also says that it will focus on issues close to the voters, from lack of development in the area, to unemployment, housing, health, education, civic infrastructure among other issues. “The time has changed. People will not get fooled by fake and tall claims by any politician. AIMIM cannot survive just by exploiting the sentiments of poor people on the assumption that they (people) have no alternate to them in the Old City. We (Congress) are the best alternate and people will choose us this time,” a senior Congress leader said. Political observers, however, say that the Congress has a lot of work to do if it is serious about putting up a tough fight. Take Yakutpura, for example. The last time the Congress held the seat was when MA Rasheed won it in 1962, before which Shabuddin Ahmed Khan from the party had won it in 1957. Since then, the seat has exchanged hands between Independent, AIMIM and MBT candidates, including one term by AIMIM leader Salahuddin Owaisi in 1972, but never the Congress. In fact, even in the 2014 polls, it was the BJP which was a runner-up and not the Congress. Anti-incumbency seems to be a factor against sitting MLA Mumtaz Ahmed Khan. The AIMIM is not ignoring this and has chosen to field one of their strongest candidates – party general secretary and present Charminar MLA Ahmed Bin Pasha Qadri, a known face in the streets and a close confidant of Salahuddin Owaisi. ALSO READ: How To Ensure 'Political Funding' In Clean And Transparent Mode? 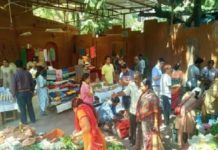 In Malakpet, the Congress stands a slightly better chance as Malreddy Ranga Reddy got elected from the party as recently as 2004. However, the AIMIM is confident and has renominated Ahmed Bin Abdullah Balala. Chandrayangutta is a bastion of the AIMIM, with Akbaruddin Owaisi holding the seat continuously since 1999. Prior to this, the seat was held by MBT founder Amanullah Khan, who was elected to the constituency since it was notified in 1978 until 1999. The Congress will face a tough battle here if it plans to contest. 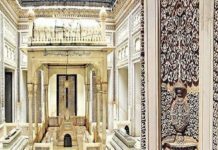 Charminar is one of the most crucial seats in Old City and the Congress has never been able to crack it, which is why it is pinning its hopes on the October 20 event to kickstart its campaign. The seat has been an AIMIM stronghold since it was notified in 1967. The AIMIM is generally assured of a win here and has put up Mumtaz Ahmed Khan. Bahadurpura, a relatively new seat that was notified after 2002, has been held by Mohammad Moazam Khan of the AIMIM since 2004. He has also been renominated presently. The Congress is yet to announce a candidate here. In Karwan, Kausar Mohiuddin from the AIMIM holds the seat but the BJP is a close second. According to Election Commission (EC) data, Mohiuddin holds 49.54% of the vote share while the BJP holds 36.45%. The Congress, in fact, got the least vote share here, even below the TRS in 2014. Nampally is also a new seat and Jaffer Hussain Meraj, the former deputy mayor of the Greater Hyderabad Municipal Corporation (GHMC) and present sitting MLA from the AIMIM, has been renominated here. There is one more constituency where the Congress does stand a chance, and that’s Goshamahal. In Rajendernagar, the AIMIM will get success as the leadership thinks. But they forgot the majority people and sititng MLA is from TRS and they got hold on the seat. Not an Old City seat conventionally, the sitting legislator BJP MLA Raja Singh is notorious for his communal statement and has been in the news constantly. The seat was previously held by Mukesh Goud of the Congress and he is most likely to contest from here again. Except for Goshamahal, the Congress has had an almost negligible presence in the other six constituencies in 2014. The AIMIM is unfazed and says that the Congress poses no real threat to them. The party refers to the Congress’ vote share in the 2009 Assembly election where it got 6.33% in Charminar, 8.07% in Chandrayangutta, 10.38% in Yakutpura, 7.83% in Bahadurpura and 13.83% in Karwan, thereby losing its deposits in five out of the seven seats. In 2014, the AIMIM points out, the Congress again performed poorly and didn’t get even 10% of the total vote share in the seven seats. Their performance in the 2016 municipal elections was also similar. They also highlight the fact that the Congress has barely taken up any causes over the last few years and is even willing to bank on leaders who have left the AIMIM, with no leaders of their own. Whose Influence Is Stronger On Kid’s Language – Mom Or Dad?